CD305, also called LAIR1 (Leucocyte-associated Ig-like receptor 1), is a 31 kDa type 1 transmembrane molecule with a single N terminal extracellular Ig superfamily C2 domain. The extracellular domain contains one N-glycosylation site. 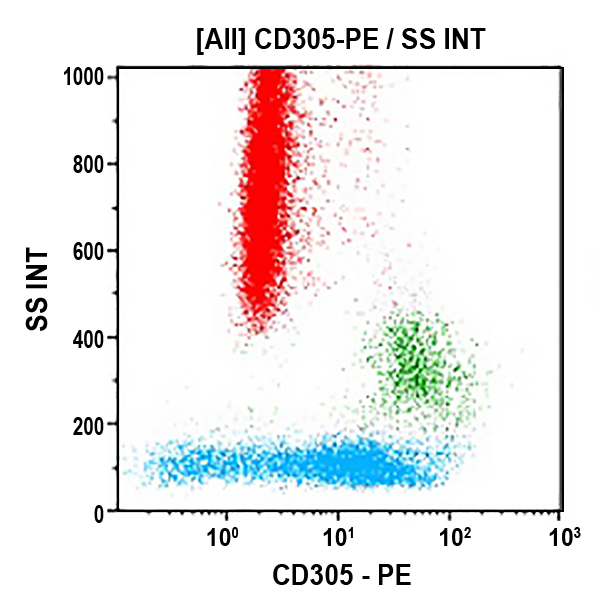 CD305 is expressed on the majority of lymphocytes, NK cells, monocytes, dendritic cells and naïve B cells. It inhibits cell cytotoxicity, cell activation, proliferation and differentiation by phosphorylation of its cytoplasmic ITIM motifs.